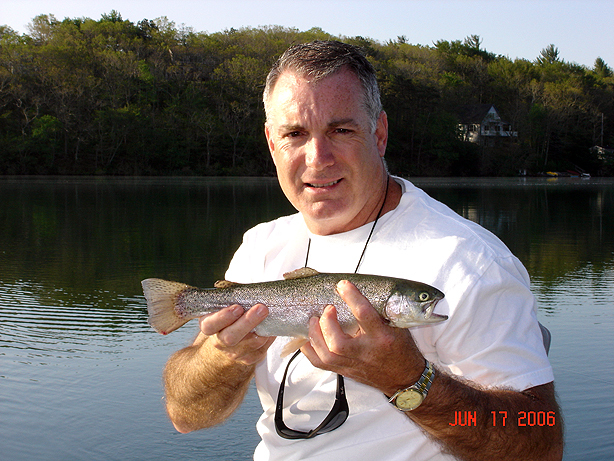 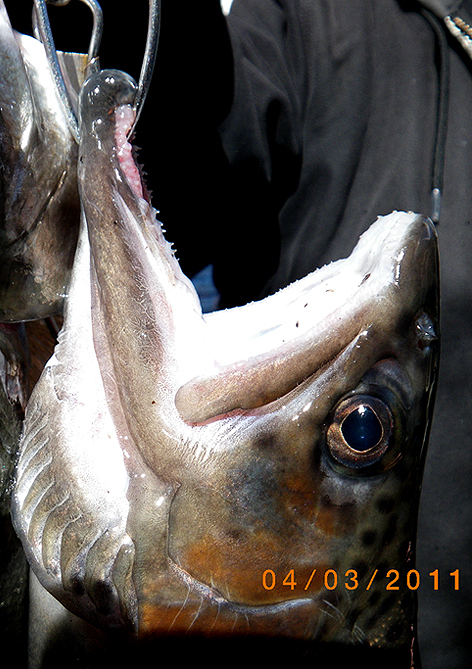 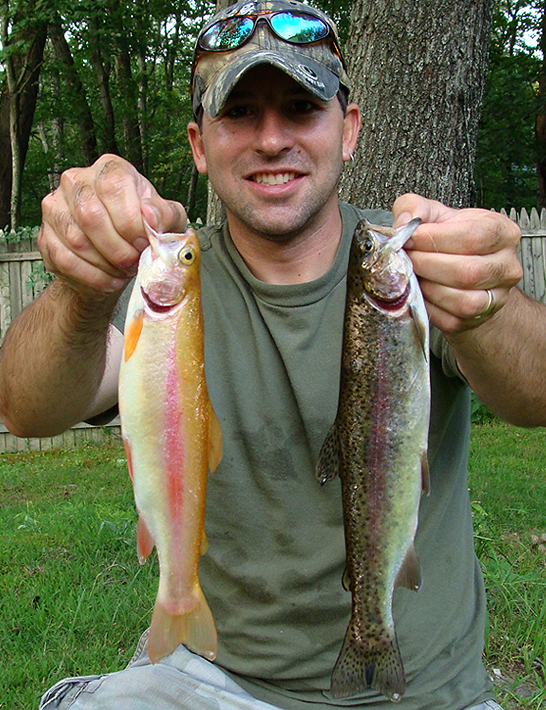 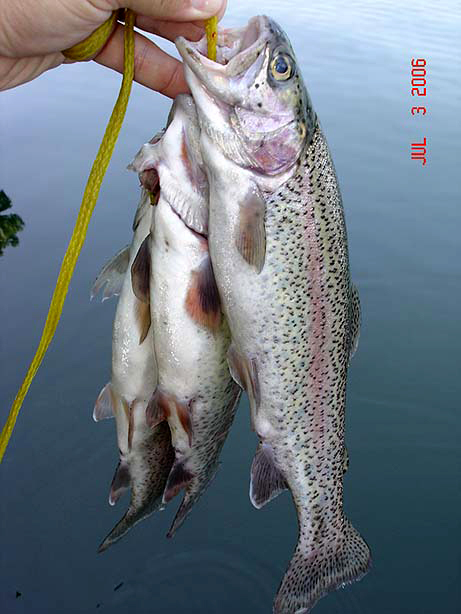 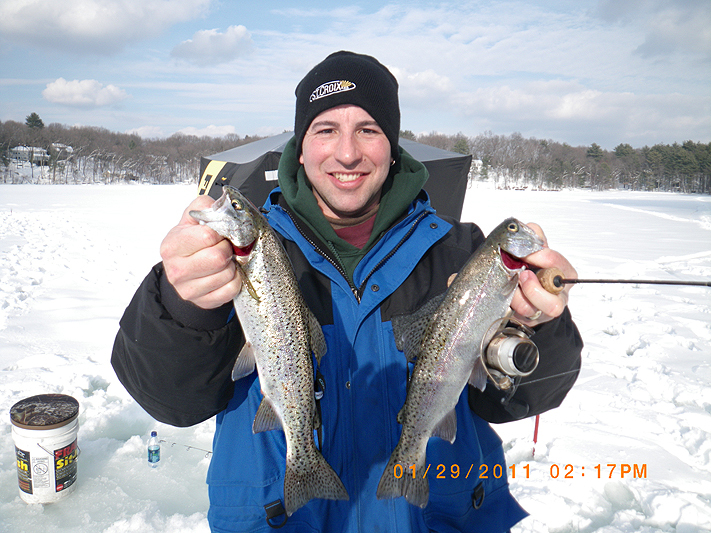 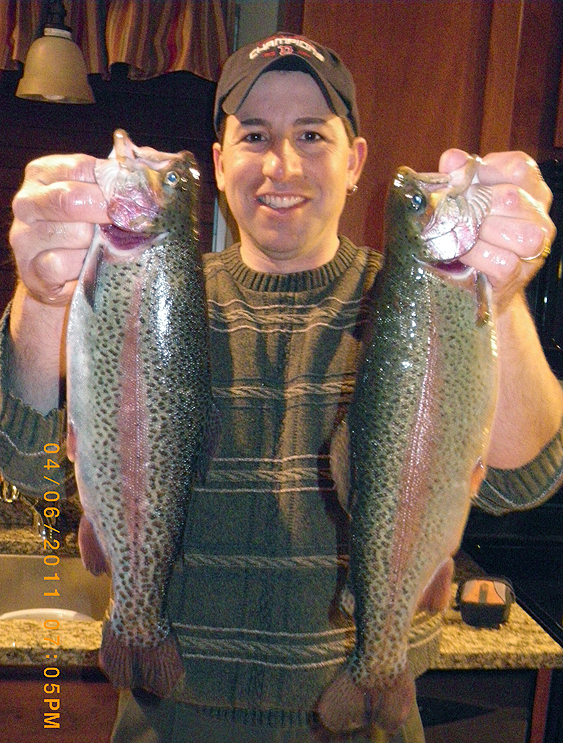 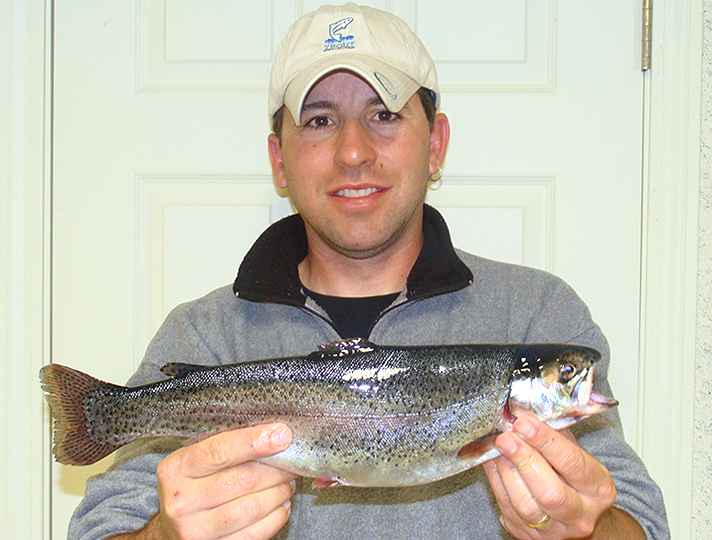 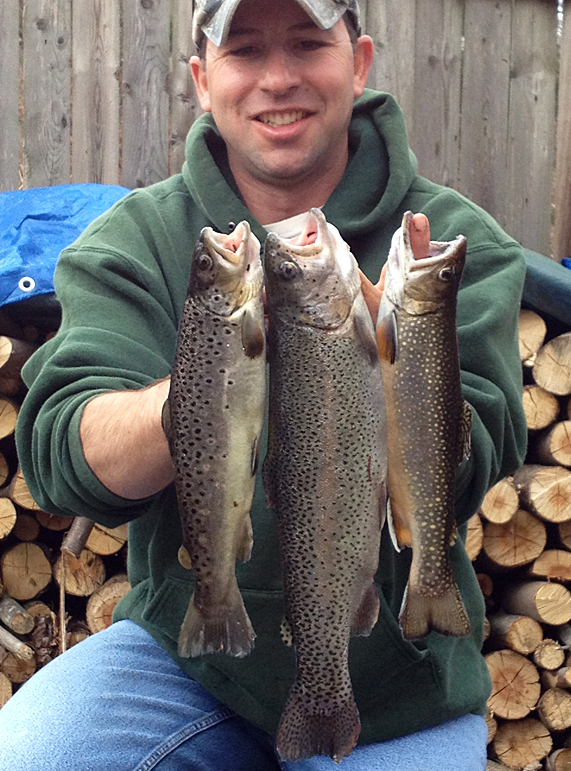 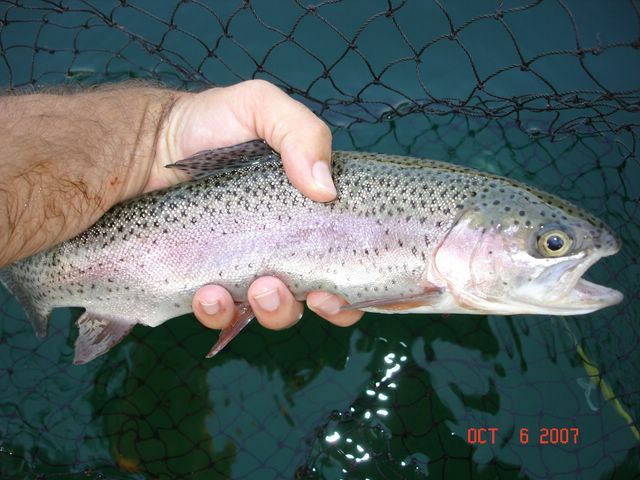 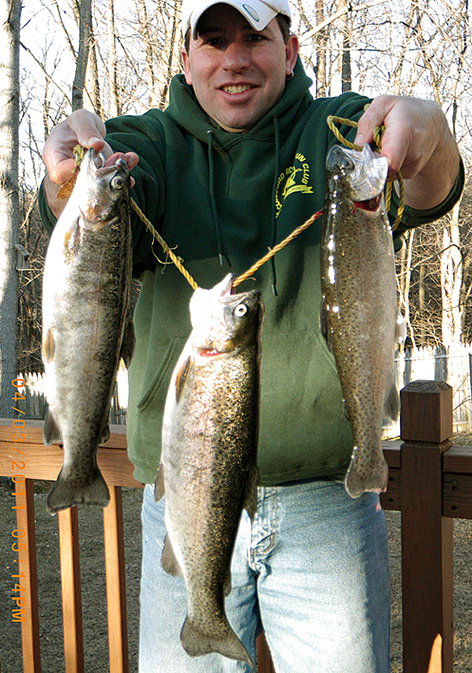 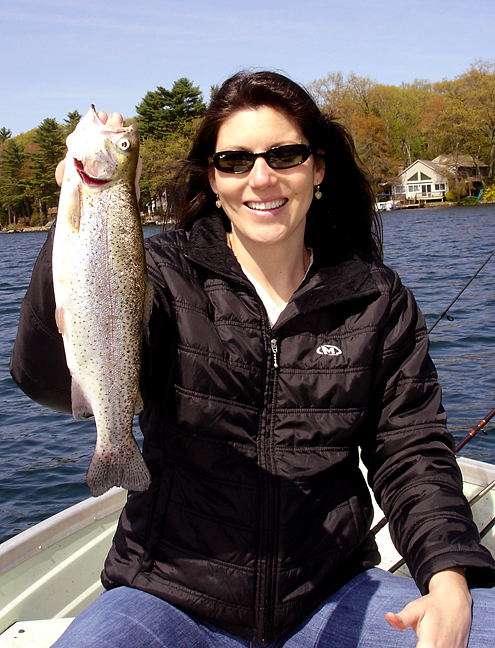 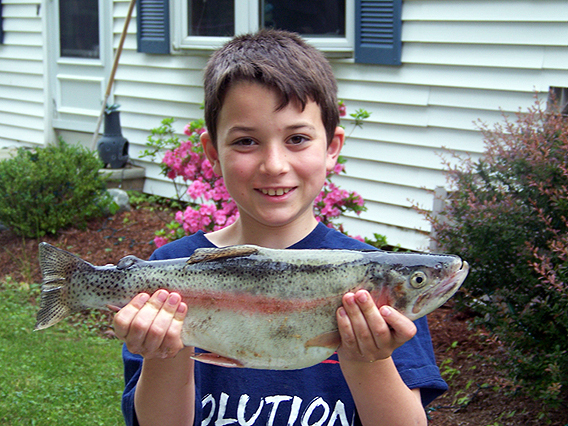 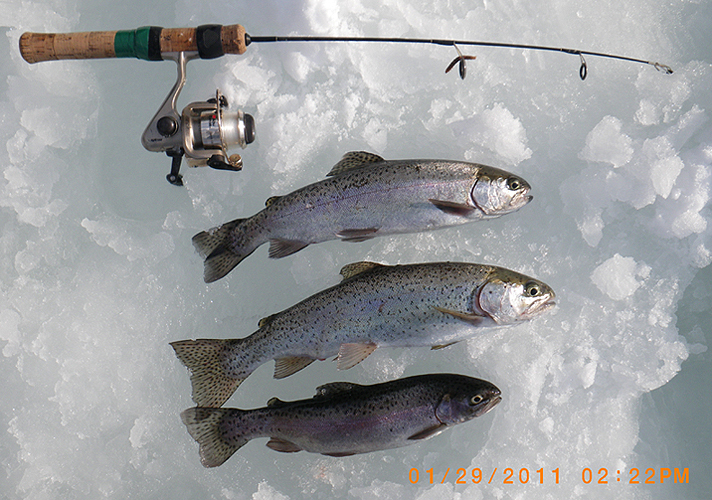 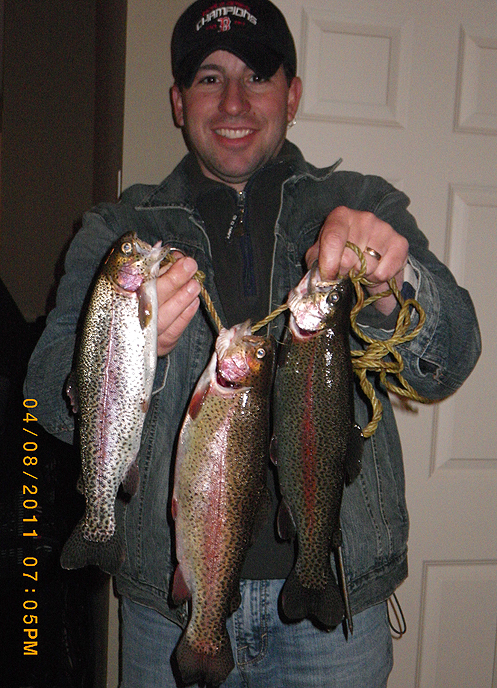 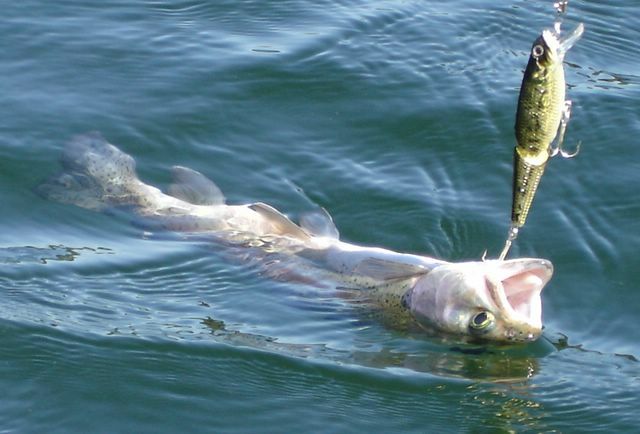 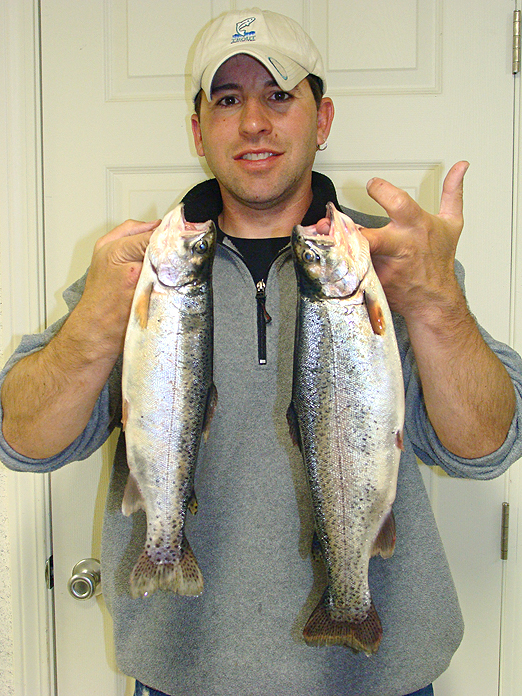 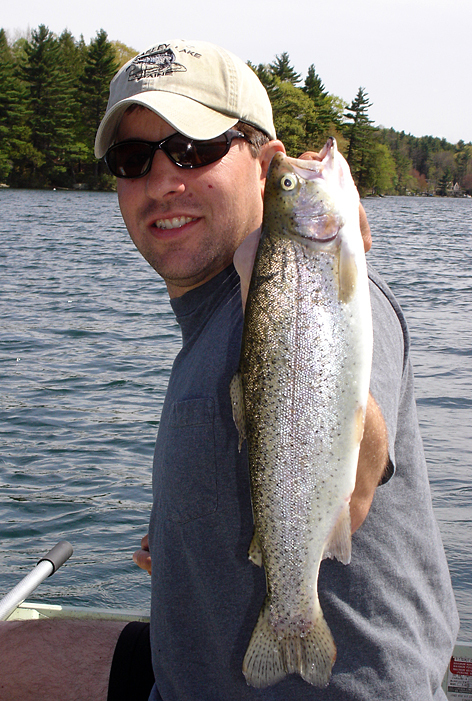 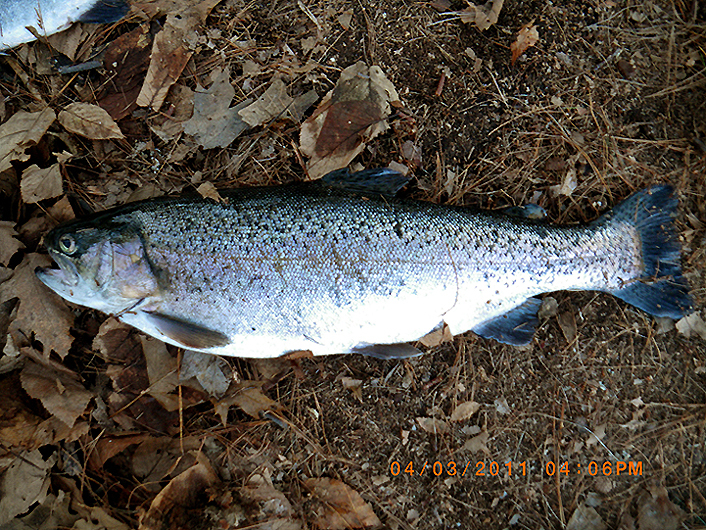 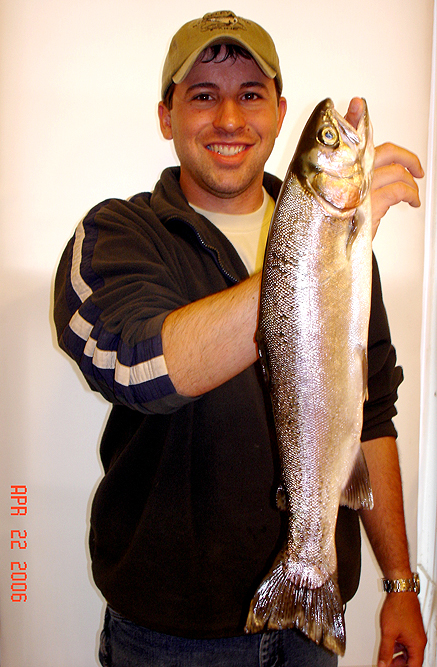 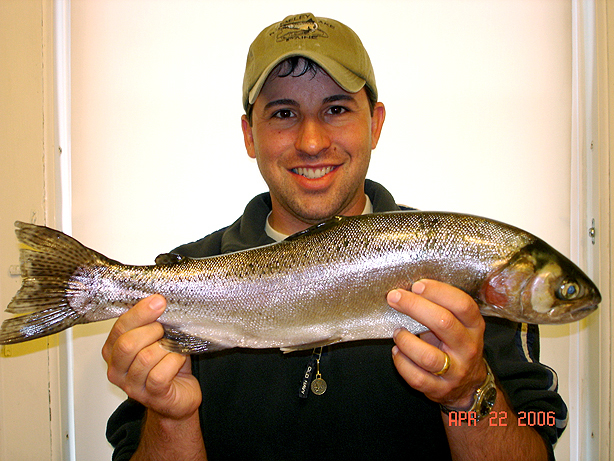 Below are some rainbow trout caught from NY, NH and MA. 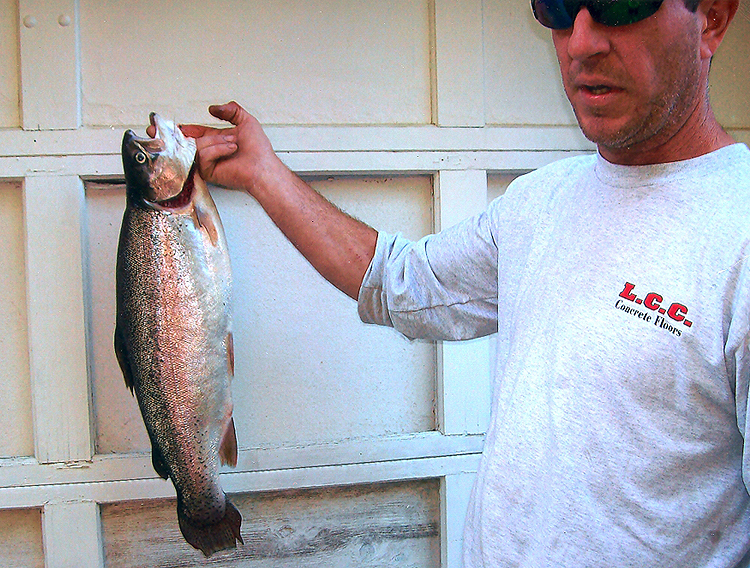 A small stocker hits more than a mouthful. 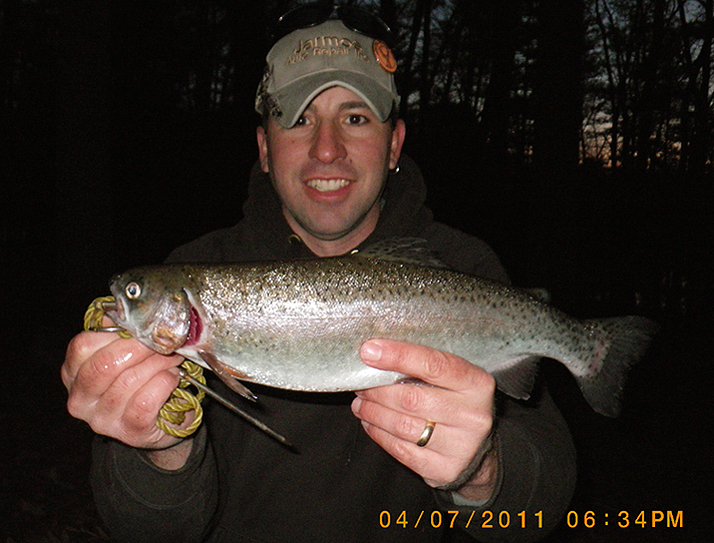 A NH trophy rainbow of 4 pounds. 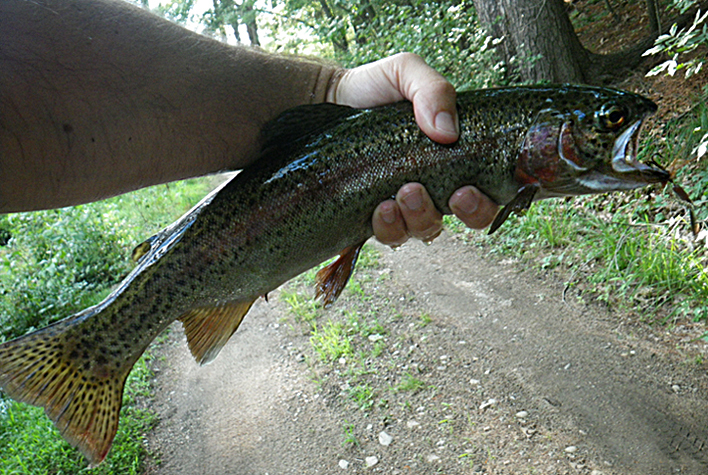 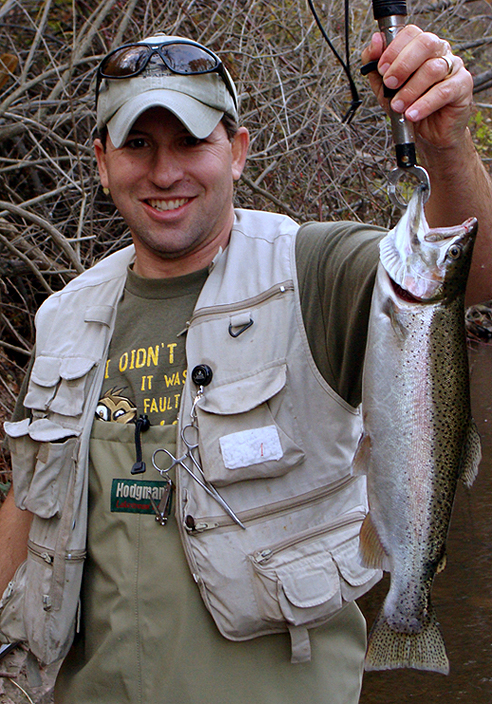 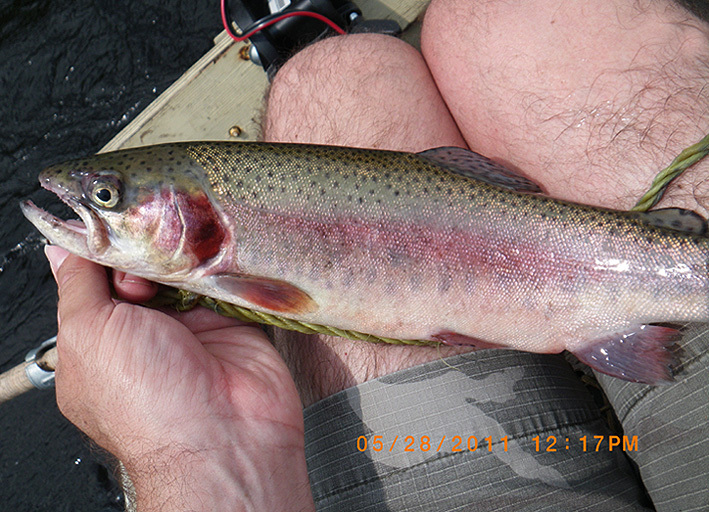 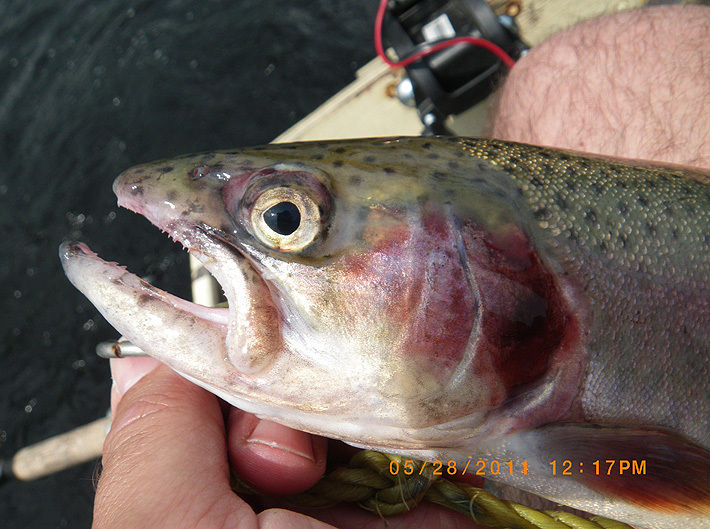 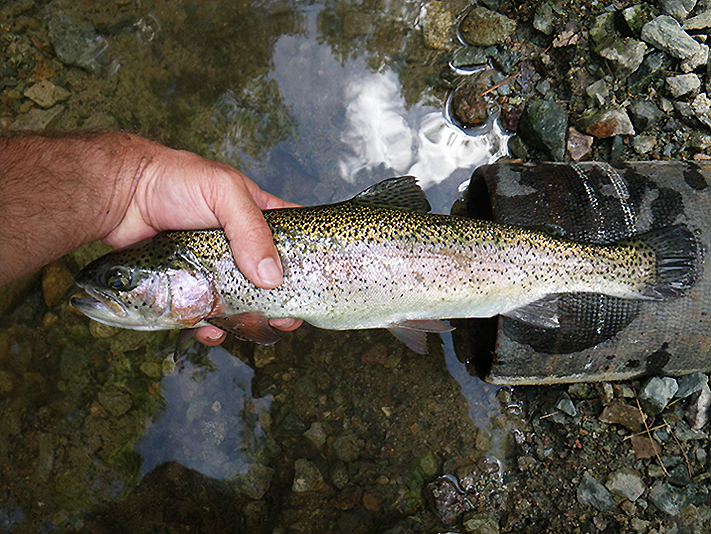 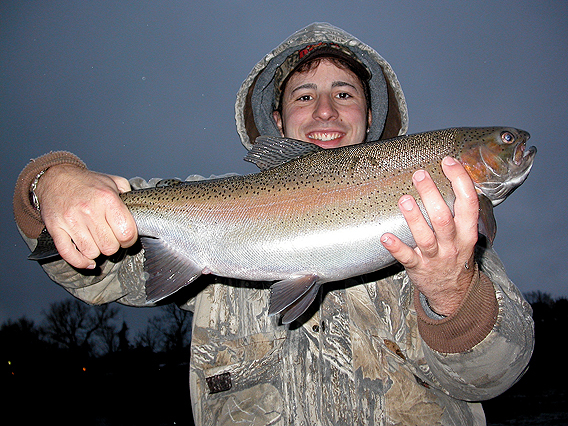 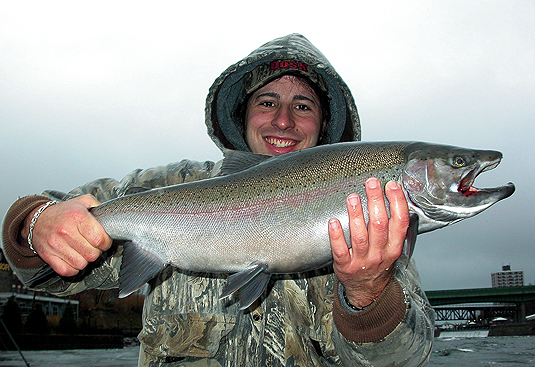 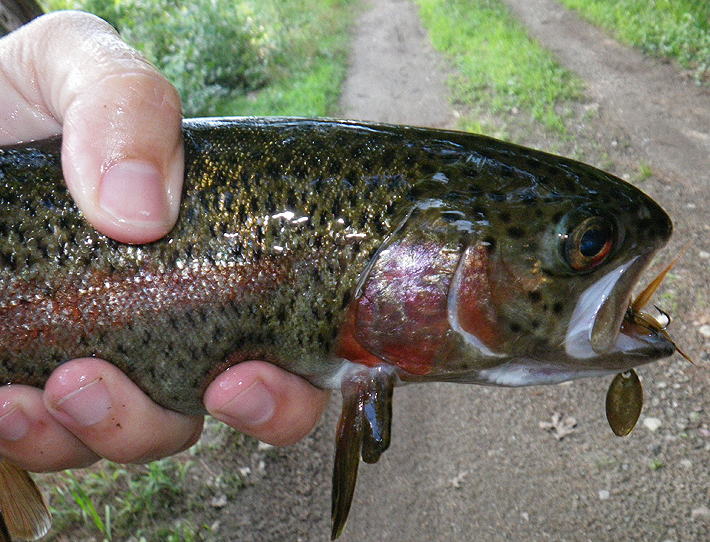 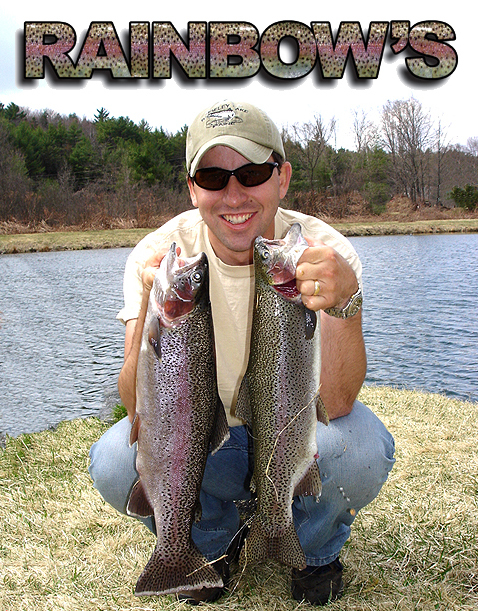 Not all rainbows have to be big to be fun to catch, especially on the Fly Rod. 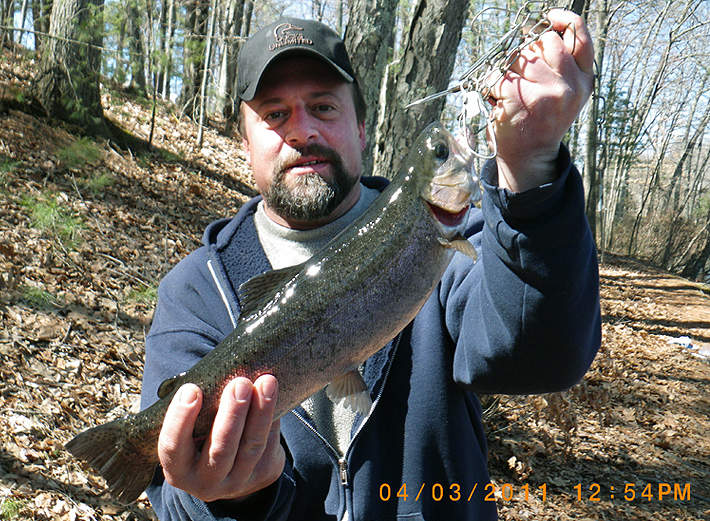 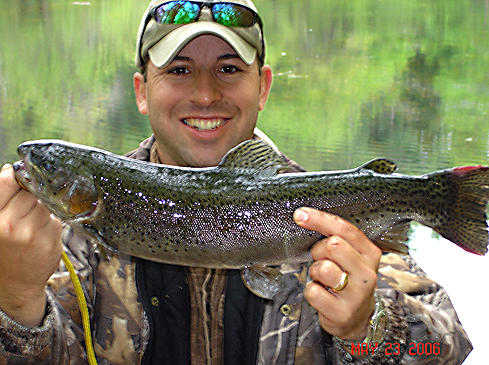 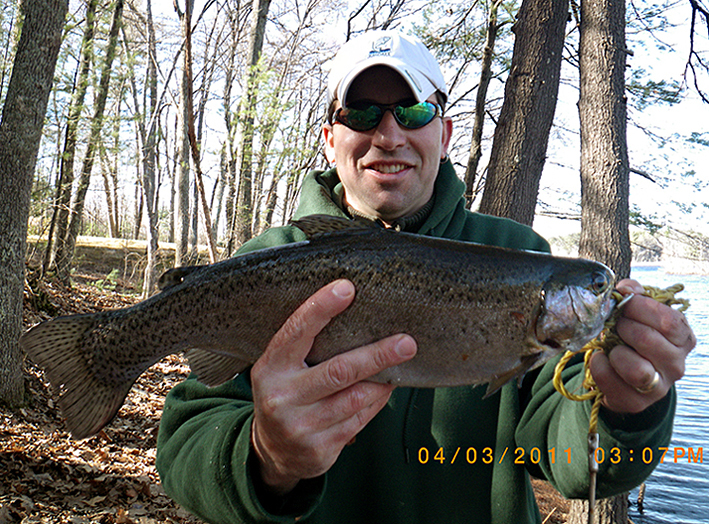 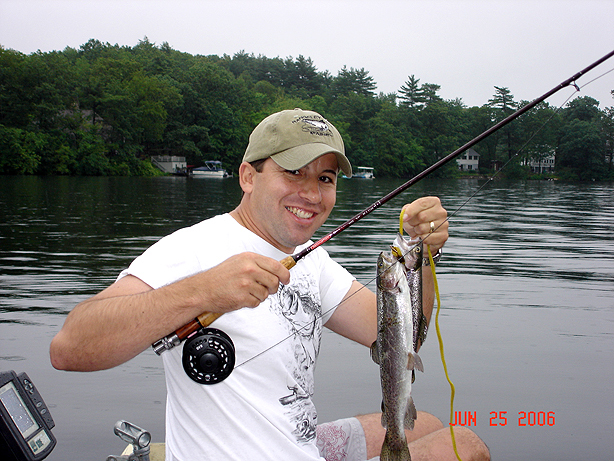 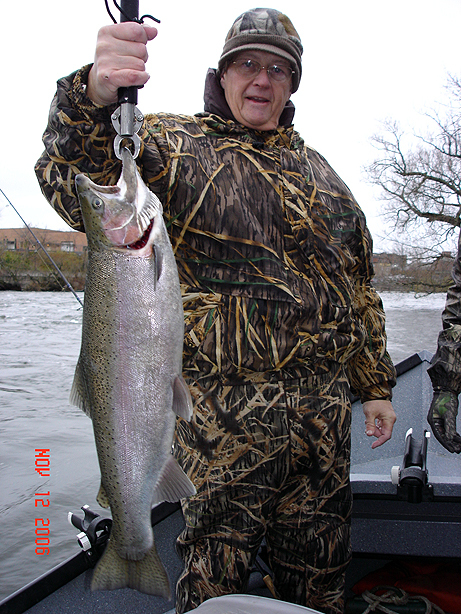 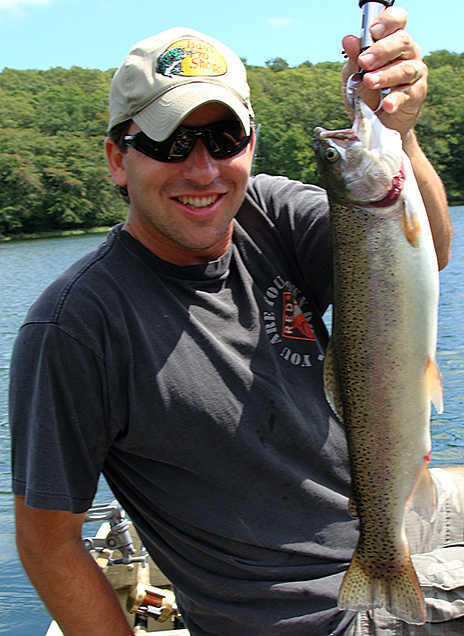 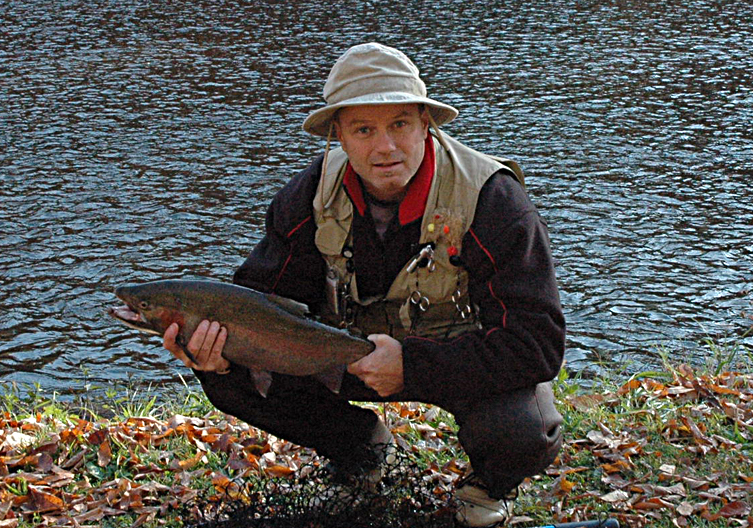 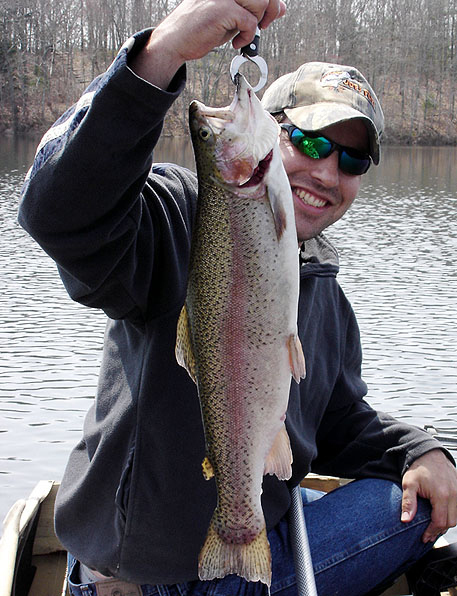 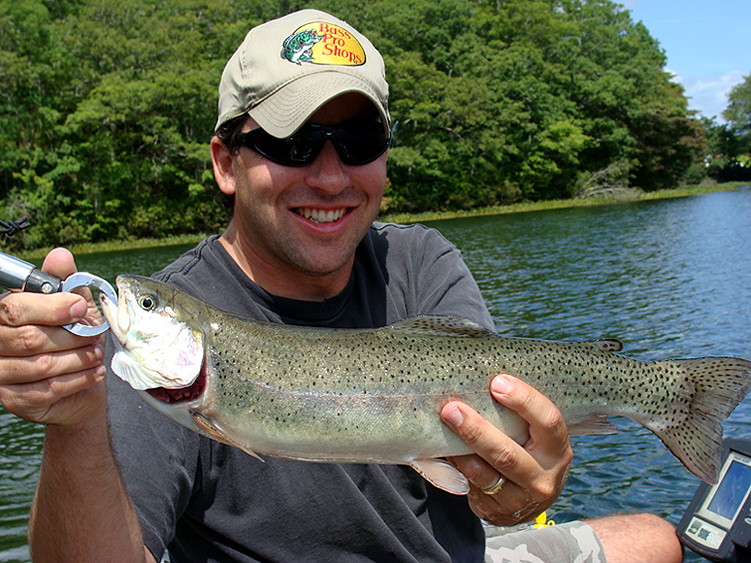 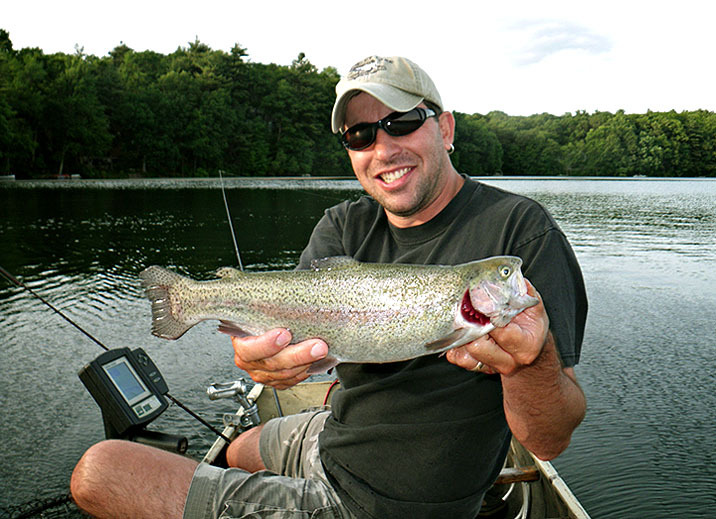 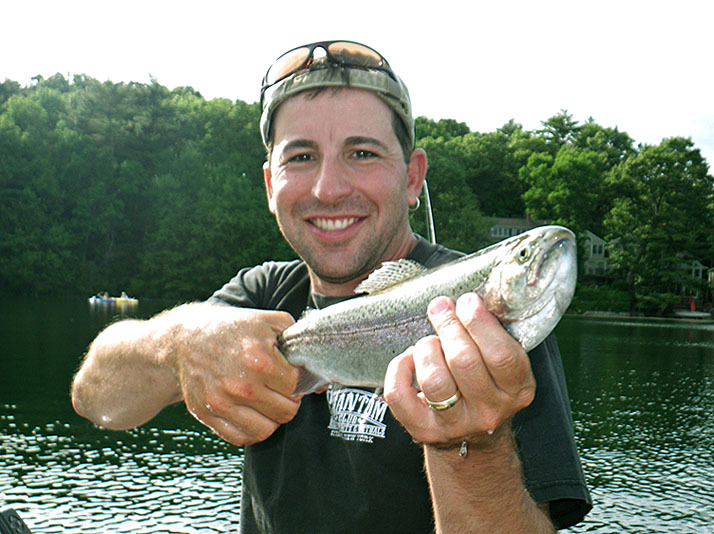 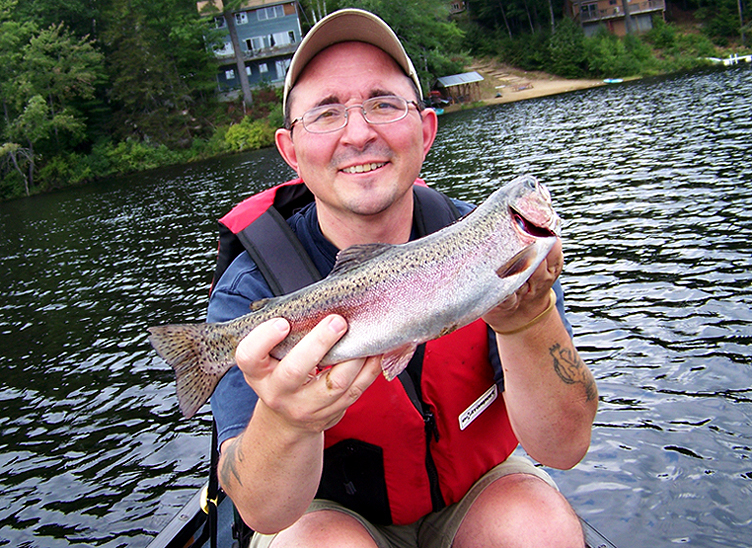 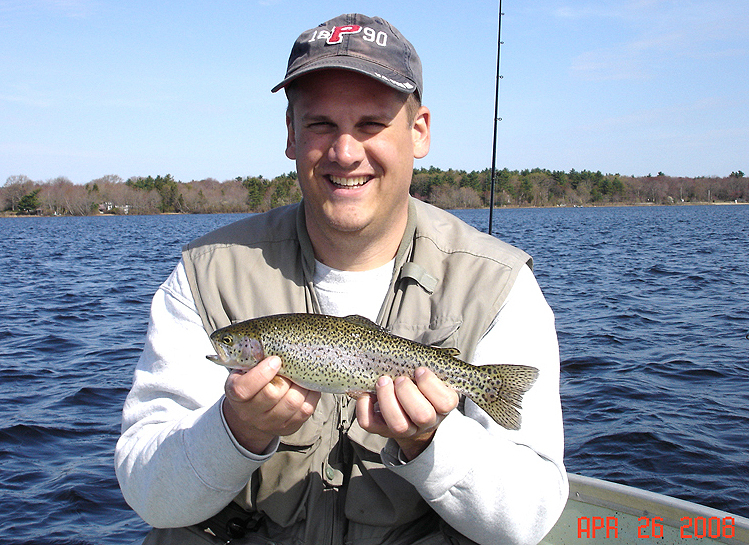 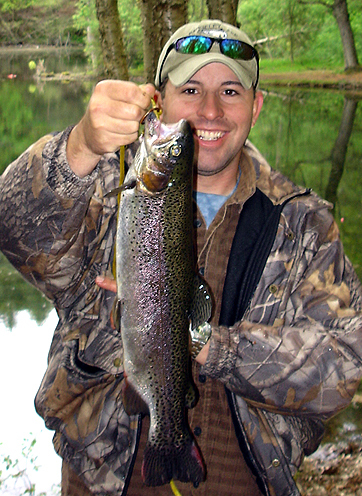 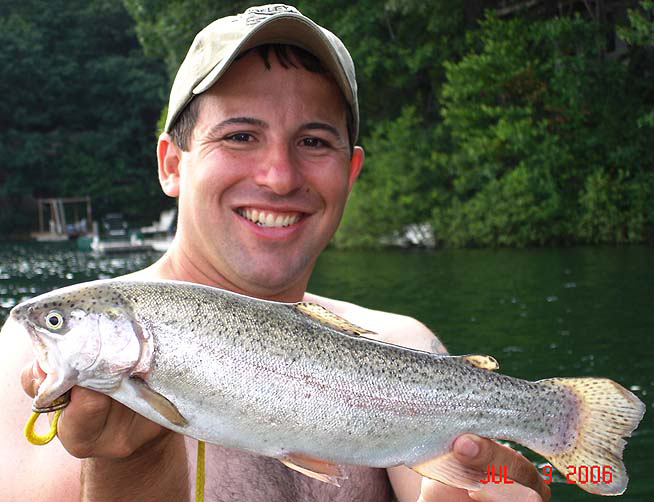 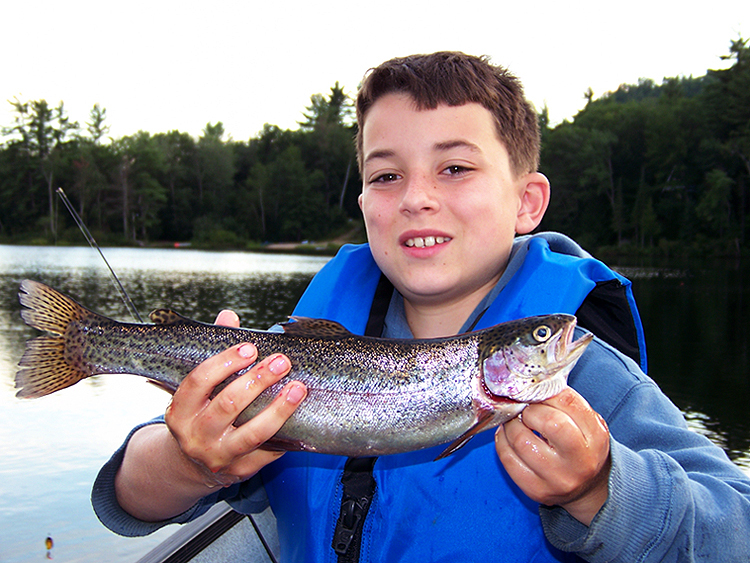 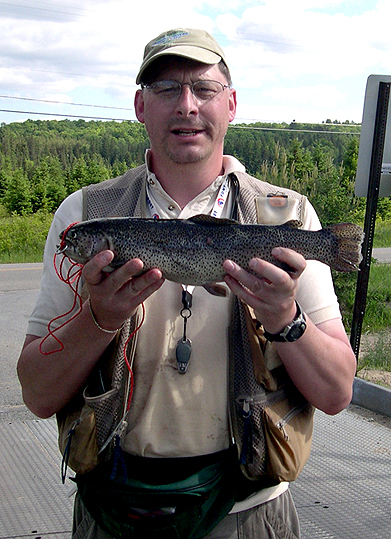 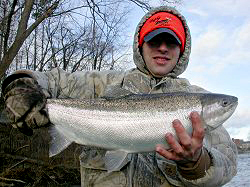 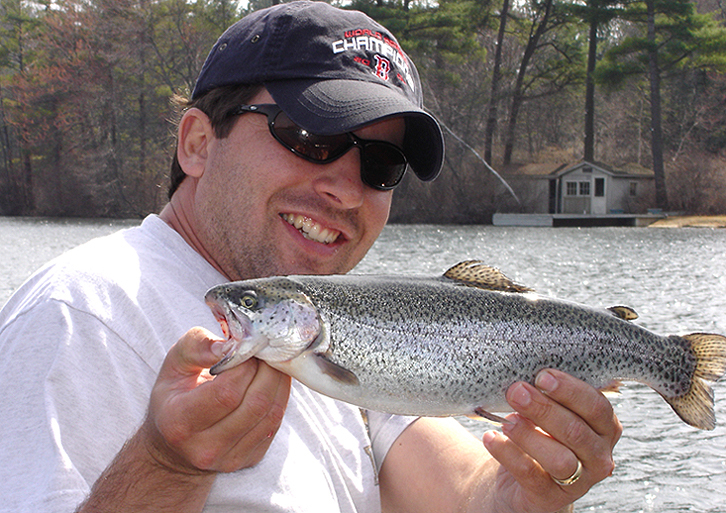 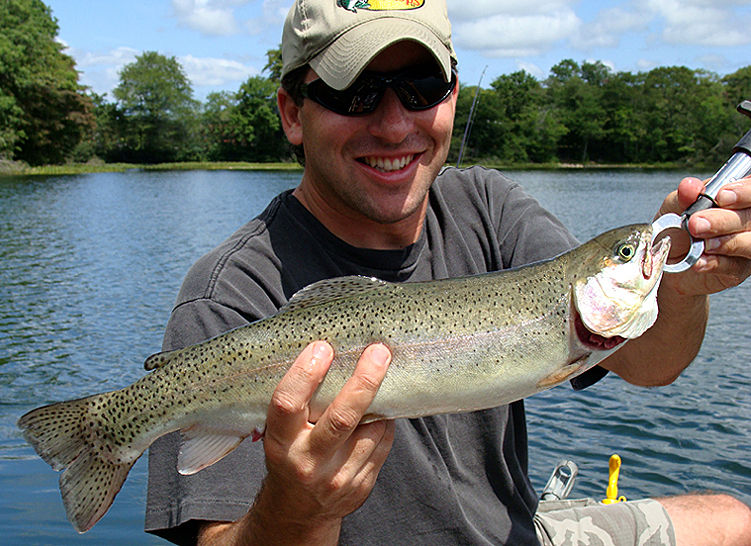 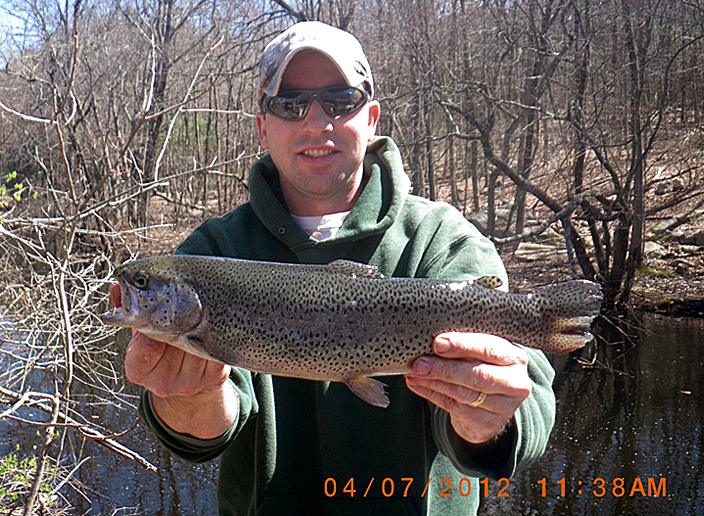 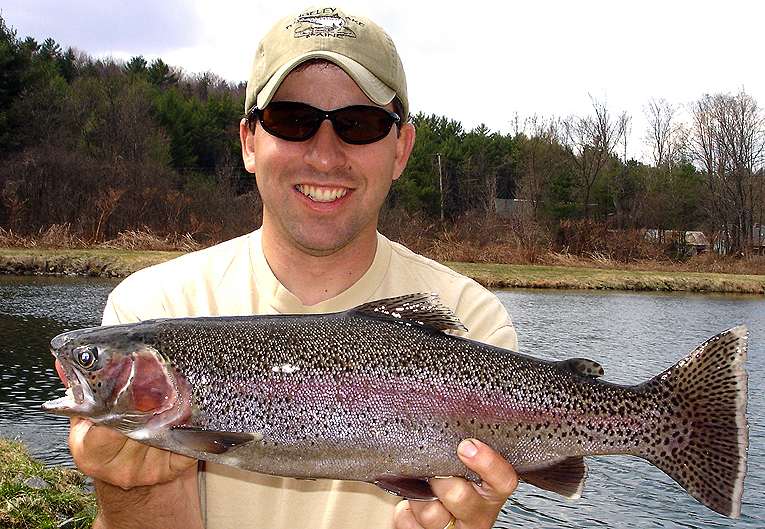 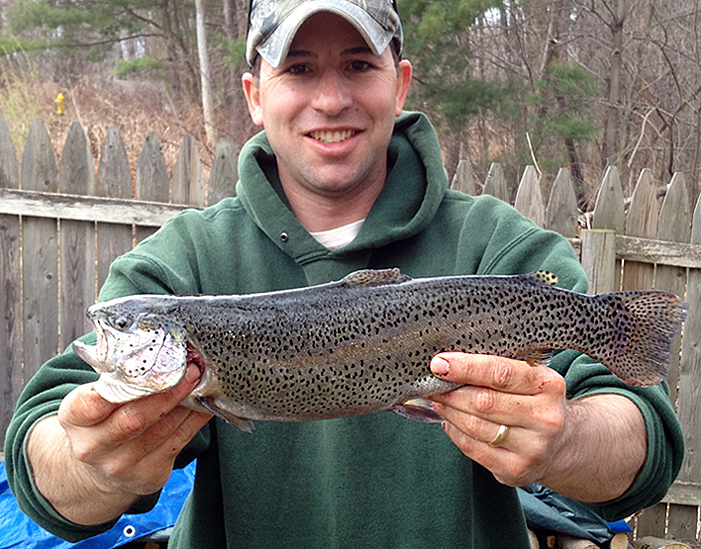 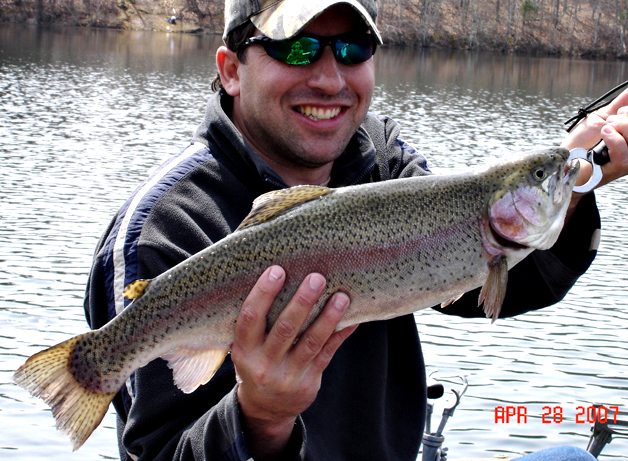 MA state record holder Michael Shelton holding an average rainbow caught on a fly rod.